LEP to participate in two pilots to help shape the future of skills and training. In December last year the Department for Education announced that it was inviting the Greater Lincolnshire LEP to participate in two nationally important pilots that will help shape the future of skills and training.  Being selected as one of five LEP areas for the Career Learning Pilot, with a share of £10m for enhanced careers advice, training, and employer and community engagement, means that adults in Greater Lincolnshire will benefit during the one-year lifetime of the pilot. Since the announcement, employers and stakeholders have been invited to a series of workshops around the county to discuss ways of helping in-work adults back into learning. The LEP is working closely with the Learning and Work Institute, which is leading the pilots on behalf of the Department for Education, and a final proposal to test activity will be submitted in the next fortnight. The Career Learning Pilot will be used to inform the National Retraining Scheme and support the Government’s ambition for an adult education system that helps people upskill and reskill throughout their working lives. This is particularly important in Greater Lincolnshire, where important industries require a more technically skilled workforce than has previously been the case. The Department for Education is also keen to understand more about how the supply of skills (the skills in the local labour market) meets the demand for skills (the skills needed by employers to fill job vacancies). Seven LEPs have been invited to pilot in-depth skills advisory reports and discussions to understand the factors affecting this supply and demand, and they want to understand more about rural areas. Further information about the next stages of these pilots will appear on the LEP website.